There is a longstanding American political tradition, going back to Horace Mann, that sees the reformation of American schools as the key to reforming American society and the American economy. 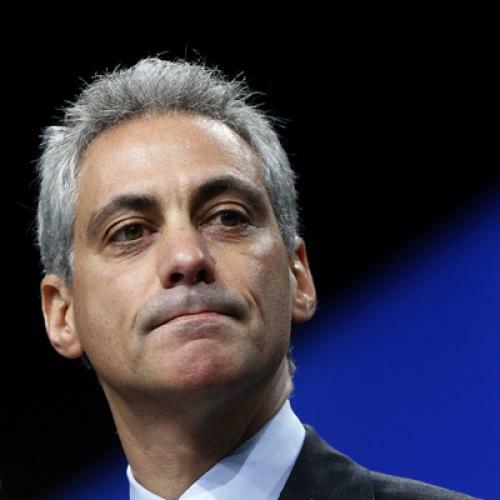 It can be found in the current education reform movement, led by groups like Stand for Children, and was on display in the pitched battle between Chicago Mayor Rahm Emanuel, who has styled himself as a reformer, and Chicago’s teachers’ union. Many children wake up with a view of our glittering skyline, but the economic opportunity in those buildings might as well be a world away. Social, economic and family dysfunctions create a divide between their dreams and the tools they have to achieve them. By enacting essential reforms in our schools over the past 1 1/2 years, we have worked to bridge that divide. School reform will, in other words, close the economic and social divide between the poorest and richest Chicagoan, between the child who may have been destined for a life on the streets and the private school student would become a partner in a LaSalle Street law firm. The yawning division between rich and poor might be closed. The division of labor between the janitor and upper management erased. Is this realistic, or possible? I think not--and certainly not from the modest measures Emanuel won nor even from the wholesale adoption education reformers’ agenda. Having found the present generation composed of materials almost unmalleable, I am about transferring my efforts to the next. Men are cast-iron; but children are wax. Strength expended upon the latter may be effectual, which would make no impression upon the former. For Mann and his successors, educational reform was the means to effect changes in the greater society that would be impossible to make directly. It was the key to social or economic reform. There is some truth in this idea. In the Northern U.S., public schools were important instruments of social assimilation and informed citizenship; they also prepared generations of American workers to function within a growing industrial system. The spread of public education in the early twentieth century gave America an advantage over many of its European competitors. But the causal arrow went as much, if not more, in the other direction, from the structure of the economy and society to the schools. The schools adapted to the new industrial economy--a process that took decades early in the last century. They didn’t alter its class structure, but reproduced it. And that’s important for understanding today’s schools. Today’s schools are in the process of adapting to a post-industrial economy, but it’s an economy that is leaving many workers in the lurch. For the last forty years, the American economy has become increasingly bifurcated between a highly-educated, well-paid professional/managerial/white collar group and a poorly educated, poorly paid proletariat, largely composed of service workers. (In his new book, The Great Divergence: America's Growing Inequality Crisis and What We Can Do About It, my colleague Timothy Noah has a good discussion of this divide.) The schools reflect this, if imperfectly. There are still middling mediocre schools, such as those my daughters attended, but the school system nationally is increasingly divided between an elite group of public and private schools that prepare their students for college and professional school and lowly group of ragtag inner city and rural or small town public schools (many of which are in the non-union South) that expel their students into the bottom rungs of service economy. If you listen to education reformers, you would imagine that there is a huge demand for highly educated workers at the top that the lower tier schools are not meeting, but that is not the case. In employment projections to 2020, C. Brett Lockard and Michael Wolf of the Bureau of Labor Statistics list the thirty occupations that are projected to have the large numeric growth between 2010 and 2020. Of the top ten jobs, only one--postsecondary teachers--would require a doctoral or professional degree; one--registered nurse--would require an associate’s degree; and the rest--and that includes retail salespersons, home health aides, food preparer and servers, and office clerks--would require a high school diploma or less. Of the top thiry occupations, only seven would require more than a high school degree. Urban public schools like those in Chicago could definitely do a better job of preparing their students to enter the work force, but in doing so, they won’t, except in unusual cases, be preparing their students to become engineers, doctors or lawyers. And in preparing students to enter the lower rungs of a labor force, the schools will face a constant drag of low expectations that impedes learning. Is it really necessary, these students may ask themselves, to master algebra to be a home health aide? Or to learn American history or be able to write passable prose to be a food server? If the reformers really want to reduce the gap between good schools and bad, that will require taking aim not just at the schools, but at the emerging structure of the American economy, and the expectations it generates in America’s young. There are people who are more qualified than I am to say what could be done about the economy. But a rudimentary list would include raising dramatically the wage and status of service workers, perhaps by restricting low-wage immigration (which puts downward pressure on wages), subsidizing certain kinds of industries and discouraging others, rehabilitating inner cities and rural areas, making sure, as the Obama administration has tried, that all Americans enjoy a safety net against unforseen illness and unscrupulous speculation, and encouraging the unionization of low tier service workers. Some education reformers do understand that change in the schools has to be coupled with changes that would reduce the gaps in wealth, power, and status between an office clerk and CEO. Certainly Emanuel and Obama’s Secretary of Education Arne Duncan have an inkling of this. But many of the reformers do not. Republican governors like New Jersey’s Chris Christie pair education reform with the evisceration of the public sector. Hedge fund honchos and other speculators, the oil rich, and Wal-Mart heirs who fund organizations like Stand for Children or All Children Matter bemoan the fate of America’s poor while contributing to Republican candidates and Super-PACs that are committed to widening the gap between rich and poor. They are reading to blame everyone but themselves for what ails American education. And they are particularly ready to blame the teachers’ unions. I have been to a few educational reform conferences, and what’s astonishing about them is how much the reformers blame the teachers’ unions for everything that is wrong with America’s schools. Some of this sentiment surfaced during the Chicago strike, and led to the standoff between Emanuel and the union. Even during the mayoral election, Emanuel appeared hostile toward the teachers and their union. I won’t say there is no reason for concern about teachers’ unions, which have stood in the way of some reasonable reforms, but I will say that in obsessing about teachers’ unions, the reformers miss some very obvious points about teaching and education. Point one, which applies to the previous discussion of the education and the economy, is that teaching takes place in a larger social context of expectations that it is very difficult for a teacher, standing in front of a class of thirty, to alter. Is your average kid on the West Side of Chicago going to dream of becoming a LaSalle Street lawyer and do what is necessary to get there? Point two is that if the better-than-average teacher is going to get through to even a handful of students, the school itself--the building, the materials--have to reflect the city’s higher aspirations for the children; and that requires spending money on schools. After the Chicago strike was over, Emanuel ran an ad summing up what had been accomplished. As an excellent web site, Poli Chi, pointed out, the school experience portrayed in the ad was at odds with the reality that Chicago students and teachers face, and that was not addressed by Emanuel in his clash with the union. The ad pictures a Chicago teacher using an iPad to instruct six students seated around a table in a school library. Very few teachers in Chicago possess iPads; there is a shortage of textbooks. About a quarter of the schools don’t have libraries. And class sizes are closer to 30 than to six. Teachers in the U.S. earn substantially less than their peers with similar educational backgrounds. Salary scales are typically also less steep than in other countries. A high school teacher in the U.S. with 15 years of experience can expect to receive only 65 percent of the earnings of a tertiary-educated individual working in another profession, a proportion substantially below that observed in other OECD countries (85 percent). The relatively low wages for teachers in primary, secondary, and upper secondary education compared with the earnings of people with similar educational backgrounds in other occupations suggests that salaries alone may not attract the most talented students to the education profession in the U.S. Right now, the education reform movement wants teachers to behave like doctors or lawyers without enjoying anything like their income, status, or authority. In the documentary, Waiting for Superman, an anthem to the education reform movement, the narrator declares that “in Illinois, one in 57 doctors loses his or her medical license, and one in 97 attorneys loses his or her law license, but only one teacher in 2,500 has ever lost his or her credentials.” These statistics are often cited to argue that teachers don’t deserve tenure or union protection. The statistics, as it turns out, are unconfirmable, but even if they were accurate, they are still based on a false premise that what should apply to physicians and lawyers should apply to school teachers. Perhaps in Europe, but not in the United States. School reform? It was an important movement in the nineteenth and early twentieth century. John Dewey certainly did understand that educational reform had to be coupled with economic and social reform. Dewey was also a member of the American Federation of Teachers. But with some exceptions, today’s version of education reform, led by StudentsFirst or Stand for Children or All Children Matter, much more resembles one of those political fads--I think of technocracy during the 1920s--that periodically energize rich people and politicians who are unwilling to contemplate the obvious kinds of changes that the society needs – changes that might threaten their wealth and power -- and fixate instead on utopian visions and dystopian demons. These dreamers are, to paraphrase a former president, much more part of the problem than the solution.